April,20 2017 - Congratulations, Will, Jeff, and Micah! Will, Jeff, and Micah won the Extraordinary Professional Promise Award! April,20 2015 - Congratulations, Eric! Eric finished his PhD defense and ready to start his new career in philadelphia! July 12, 2013 - Congratulations, Bradley! Bradley finished his Master's defense. He is going to Chicago for his new career. Well done, Brad! July 12, 2013 - Goodbye Dr. Nuroglu! Dr. Fatih Nuroglu is going back to Turkey soon. We enjoyed having him in the group for the last year. FNET was recently featured in the May 2012 issue of Rural Electric Magazine. July 10, 2012 - Welcome Matt, Charles, and Andrea! We would like to extend a warm welcome to some new faces in the Power IT Lab. Matthew Milligan, a physics teacher at Farragut High School, is here as part of a Research Experience for Teachers sponsored by the CURENT Engineering Research Center. Charles Zhang and Jacob Walker are participating in a Research Experience for Undergraduates, also sponsored by CURENT. Finally, Guangyu "Andrea" Feng is visiting for the summer from Tsinghua University. January 3, 2012 - We're Moving!!! The Power IT Lab is scheduled to begin moving to the new Min Kao Electrical Engineering and Computer Science Building starting on January 3, 2012. We anticipate that the move will be completed by Wednesday, January 4. Our new lab will be located in room 402. December 8, 2011 - Congratulations, Dr. Chen and Dr. Ye! We would like to congratulate Dr. Lang Chen and Dr. Yanzhu "Kelly" Ye who have both received their Ph.D. degrees this semester. We wish Lang and Kelly the best of luck in the future. September 25, 2011 - Goodbye, Leo! Yuming "Leo" Liu is returning home to China after spending two years with us as a visiting scholar. He plans to graduate from Chongqing University with his Ph.D. next spring. We wish Leo a safe trip home and success in the future. September 22, 2011 - Welcome New Team Members! The Power IT Lab has nearly doubled in size! 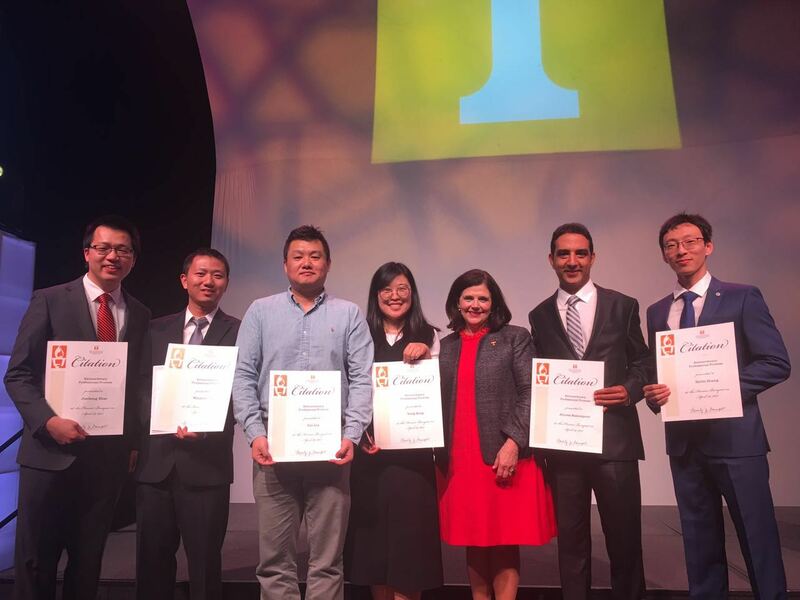 New students include Jidong "Jack" Chai, Bradley K. Greene, Jiahui "Jason" Guo, Philip R. Irminger, Gefei "Derek" Kou, Yin "Laura" Lei, and Lingwei "Eric" Zhan. We've also gained two new visiting scholars, Zhipeng "Daniel" Liu and Fan Liu, and two new visiting professors, Dr. Wenjing Hu and Dr. JinKwon Hwang. Welcome aboard! 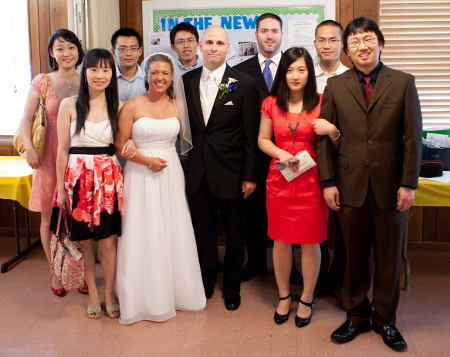 June 13, 2011 - Congratulations, Marcus and Deanne! Congratulations to Marcus and Deanne Young, who were married on Saturday, June 11. Welcome to the Power IT Lab family, Deanne! May 31, 2011 - Welcome, Stephanie! Stephanie Steren-Ruta has joined our group as a Knox County Schools Pre-Collegiate Scholar. She will be working with us for the next year. We are very excited about having Stephanie on our team. 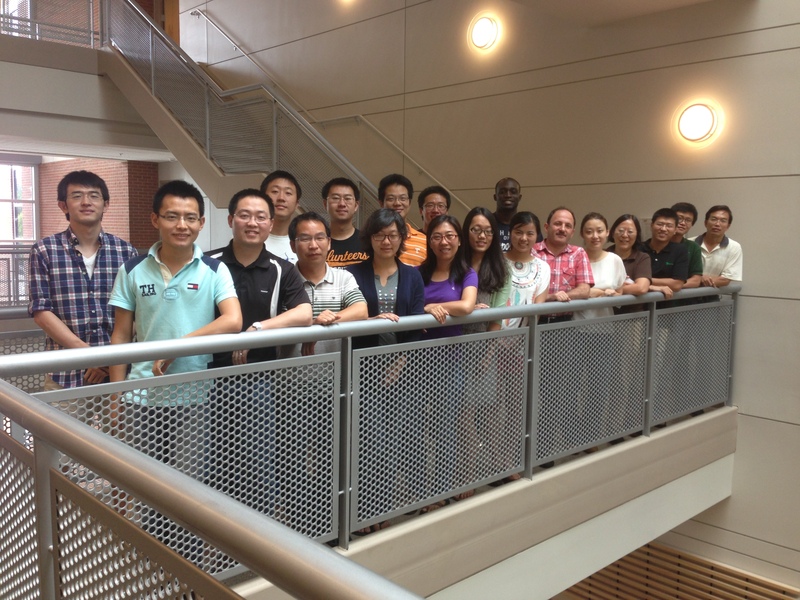 May 26, 2011 - Goodbye, Dr. Lin! 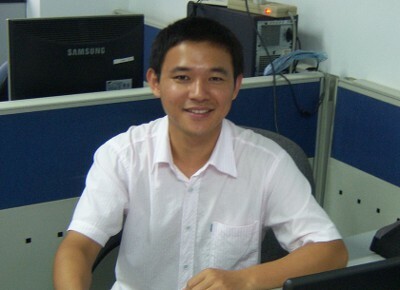 Dr. Zhenzhi "Eddie" Lin has returned to China after working with us for the past year. We wish him the best of luck! May 24, 2011 - Follow Us on Twitter! We're now on Twitter. Eventually, we plan to tweet power system event alerts from FNET, but for now our feed will be used to communicate useful information and other announcements. You can find our Twitter feed here. Our work was featured in the latest issue of Quest, which is published by the UT Office of Research. You can view the article by clicking here. January 27, 2011 - Welcome New Team Members! We are pleased to announce the addition of two new people to our team, Ms. Kathy Ernst and Mr. Marcus Young. Kathy will be working part-time as our administrative assistant. Marcus is a part-time Ph.D. student who currently works in the Power & Energy Systems Group at Oak Ridge National Laboratory. 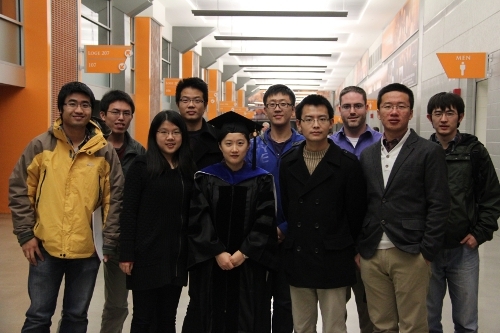 January 27, 2011 - Congratulations, Dr. Zhang! 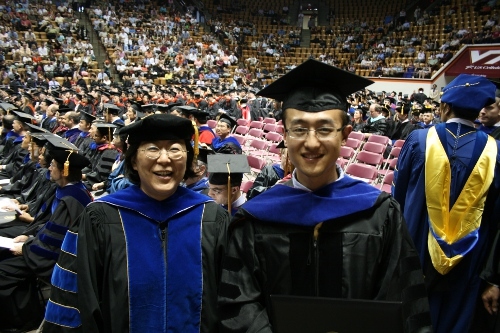 We would like to congratulate Dr. YingChen "YC" Zhang upon the successful completion of his Ph.D. from Virginia Tech. We are very pleased to announce the release of our first YouTube video - How to Install Your Frequency Disturbance Recorder.